Apart from its scholarly and visual merits, this study deserves recognition as the second book-length work about Owen Jones, the once-famous Victorian architect and designer, since his death in 1874. The first, by Carol Flores, an American architecture professor, appeared only in 2006. Flores’s main virtue was providing a broad overview of Jones’s career for those who, like me, had been curious about him for a long time but could not find much information on him (even the 1911 Britannica, which contained so much detail about so many eminent Victorians, summed up Jones in under two-hundred-and-fifty words). 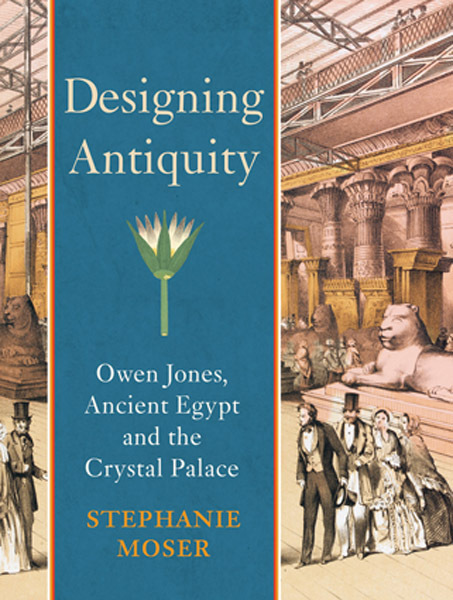 Stephanie Moser’s study does something different: it focuses on a specific achievement of Jones’s, namely his creation of the Fine Arts Courts for the new Crystal Palace constructed at Sydenham in 1854; of these, the Egyptian Court was his masterpiece, as well as the most controversial. As an archaeologist specialising in modern representations of past civilisations, Moser demonstrates how Jones, along with his colleagues M. Digby Wyatt and Joseph Bonomi, were pioneers in reconstructing the artistic styles of past civilisations in order to raise the aesthetic taste and awareness of the general public, and also accomplish what Jones felt was a much-needed reform in British design inspired by Egyptian use of colour and ornament. In doing so, Moser provides an informative narrative of both social and art history, but more specifically of the origins of historic art as a mass leisure commodity, which is what the Fine Arts Courts ultimately initiated. Owen Jones was born in London in 1809, the son of a noted Welsh antiquarian of the same name. He attended Charterhouse School for eighteen months, and was apprenticed to the architect Louis Vulliamy at the age of sixteen; although he never attended university, he was able to study at the Royal Academy while in Vulliamy’s service. He toured the continent and also the Near East in the early 1830s, meeting on his travels the British Egyptologist Joseph Bonomi. Jones’s travels in the Near East impressed him with an admiration for the ancient Egyptian and Moorish styles, of which he was an advocate all his life. The first public expression of his Egyptophilia was his address to the Architectural Society in 1835, entitled ‘The Influence of Religion upon Art’, in which he laid down the ideas that were to define his career. Besides praising Egyptian temples at greater length than any other style, the twenty-six-year-old Jones condemned the lifelessness of contemporary British building, advocating structures based on the cast iron beam as appropriate for the modern age (see my article on Jones in the October/November 2011 issue for more). Jones’s first major publication was a grand study of the Alhambra palace in Spain in the 1840s, which earned him the nickname ‘Alhambra Jones’ and established his reputation as an authority on ornament. This success led to his appointment as co-architect with Joseph Paxton of the Crystal Palace for the 1851 Great Exhibition, which was a great structure of cast iron beams just as Jones had called for in his youth. It was the most monumental building of its day, and Jones made it even more remarkable with a colour scheme for the interior ironwork that was controversial but finally successful. Thus it came to pass that when the original Crystal Palace was taken down and a permanent version was to be constructed at Sydenham, Jones and Wyatt were the men selected to design its Fine Arts Courts, which were to represent the progress of art through the ages. 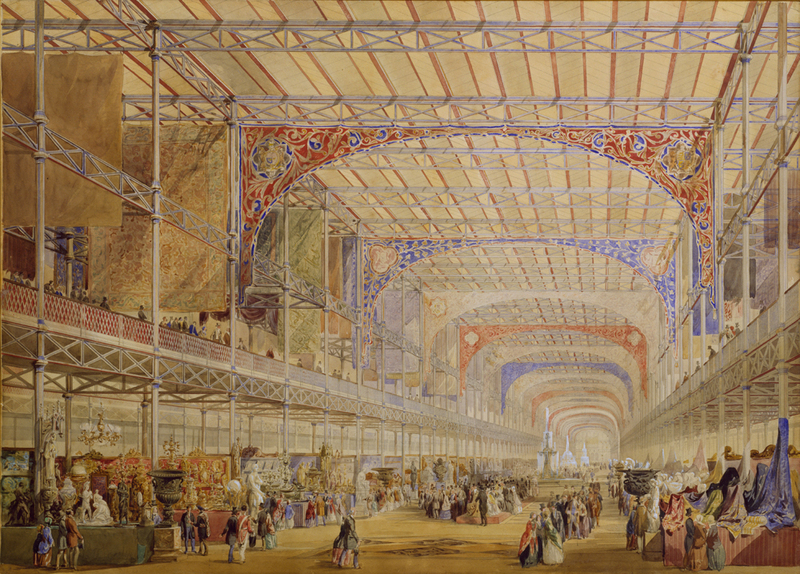 Twice the size of the original Crystal Palace, which had been an effort at uniting art and design with modern industry, Sydenham made the study of the past, heretofore a scholarly preserve, into a public leisure activity, and this focus on the past was its major difference with its predecessor. The Fine Arts Courts were thus critical, for they fulfilled the objectives of the newly formed Crystal Palace Company, which sought to convey progressive ideals to the great multitude at a profit. As if all this were not enough, Jones and Wyatt planned to tell the story of art to the masses via what Moser rightly calls a ‘groundbreaking’ emphasis on ancient applications of colour to ornament, which they considered integral to the meaning of ancient architecture rather than mere decoration. In portraying Jones’s project against its mid-Victorian background, Moser extensively documents what she calls traditional Western ‘chromophobia’ and the opinion of the period’s scholarly art historians that sculpture, architecture and painting were more important than ornament. She quotes one stuffy critic as opining that use of strong colours was a sign of a ‘meretricious taste, if not a barbaric one’. Moser’s lengthy quotes from a variety of academic, artistic and popular journals of the day add much to the texture of her study, and do a convincing job of showing what Jones was up against in what she calls his ‘crusade’ to reform British design, which he described as lacking ‘soul’. She therefore also provides a thorough explanation of what exactly the ancient Egyptian style meant to Jones, since he took great pains to present a coherent visual statement of it to the inartistic British public. Jones’s conviction was that decorative styles of vanished civilisations embodied their ideals; he believed moreover that ornament, and the colour which covered it, had a close relation with the objects it decorated and was a complete art form in itself. Also contrary to the conventional wisdom his day, which held that ancient Egyptian art was rigid and overly formalised, Jones championed it as exemplifying the spirit of its civilisation and its love of nature; he and Bonomi, his collaborator on the Egyptian Court, wanted to uncover ancient Egypt’s essence and present a pure extract of it to the public. Thus, the Egyptian Court was primary for Jones, rather than the Greek, Roman, Medieval or Renaissance ones, even though their artistic styles were generally held to be superior. Jones’s championing of art for all leads Moser not only to describe the various critical reactions to the Fine Arts Courts, but also to reconstruct how average visitors would have experienced them. The majority arrived at Sydenham’s railway station, which was connected to the new Crystal Palace’s south wing via a glass-covered corridor. Once inside, the Courts were immediately visible, their bright colours showing well in the natural light let in by the glass roof. The first that they encountered was the Egyptian one, which ‘offered an overwhelmingly visual rather than scholarly experience’. The Sydenham Crystal Palace overall was ‘an environment of leisurely consumption and commercial enterprise’, a combination seen as a sign of national progress, since such a partnership of business and education was then new. The Crystal Palace Company wanted to profit from entertainment at Sydenham, so the Fine Arts Courts were associated with amusement; Moser notes that the Palace’s refreshment facilities were a ‘highlight in themselves’. Such an unacademic packaging of art history led to deep divisions of opinion in both the popular and scholarly press. Dickens gave Sydenham thumbs down, Rossetti thumbs up, while Ruskin was enthusiastic at first but later became suspicious of what effect such spectacles might have on the working man’s mind. Although some critics claimed the ‘barbaric’ Egyptian Court contrasted unfavorably with the Greek one that followed it, it had a stupendous impact on people who beheld it. 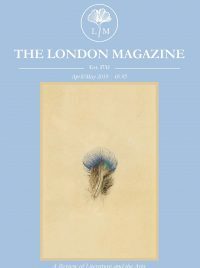 Moser argues that the handbooks composed by Jones as guides to the Courts were ‘instrumental’ in ‘shap[ing] the visitor’s experience’ of them, and that they made the art in the Courts more easily grasped by the viewer – most people of the time, after all, had never seen anything like it before. Not surprisingly, the majority of reporters focused on the colouring and ornament of the Egyptian Court, with many declaring it as less important than the Greek and Roman ones. Nevertheless, Jones and Bonomi’s scale reconstruction of the Abu Simbel colossi became a symbol of Sydenham and its main draw; Moser illustrates this point with period souvenir lithographs showing these great sculptures framed by the Palace’s ironwork – a touching combination of Jones’s historic and modern ideals. Nowadays, when even small towns have their own public museums and TV broadcasts cultural programming to millions, we easily take it all for granted. It is hard to believe that culture was once the domain of privileged erudition that derided the notion of presenting historic art treasures to the common man. We also find it hard to credit that strong colours were once considered almost sinful, which Jones condemned as ‘puritan prejudices against colour’. Yet that was how opinion stood in the 1850s, and men like Jones, Wyatt and Bonomi had to fight every inch of the way to effect a change in attitudes. The victory won, Jones went on to publish The Grammar of Ornament in 1856, which became a designer’s Bible until the 1920s and remains in print today. Moser does a fine job of showing how it was the written distillation of the principles he had applied in the Fine Arts Courts, particularly the Egyptian one. She also cites his 1852 public lecture on his colour principles (available on Google Books) perfectly well, but does not indicate how much the later lecture is an extension, even a repetition, of the ideas he laid down in 1835. Her final chapter shows how Jones influenced the development of Egyptology in its infancy. There is only one serious gaffe in the whole volume: on p. 81, Moser states that the whole Egyptian Court was over one-hundred square feet, when her own endnote for this statistic states its dimensions were one-hundred-and-twenty by ninety-six feet – a proofer should have noticed. Her study’s background is a marvelous overview of Egyptology, colour theory and art history in general from 1800 to 1900 in France, Italy and Germany as well as Britain. Its main assertion, that Sydenham was a major step in mass cultural edutainment, is convincing, and one concludes that what Jones achieved was a good thing. Some might have reservations about how much should be ‘edu’ and how much ‘tainment’, but Jones was arguably a major social as well as design reformer who achieved a shift toward today’s understanding of the art of the ages as the patrimony of all.